Pam Martin-Wells Wins LBAA on Tennessee?s Old Hickory Lake and Takes Home Angler of the Year! 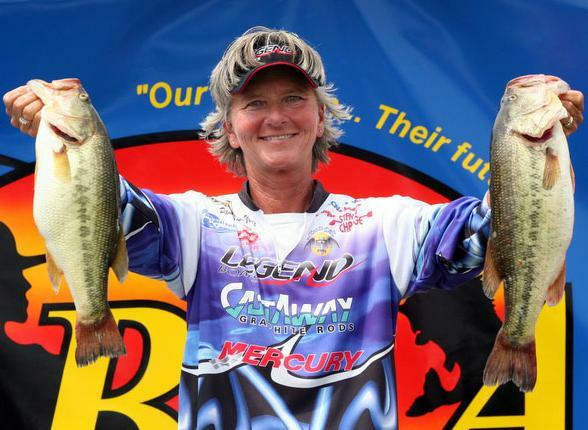 Professional angler Pam Martin-Wells from Bainbridge, Georgia won her second Lady Bass Anglers Association (LBAA) tournament yesterday on Gallitan Tennessee?s Old Hickory Lake. In addition to the win, Pam was able to catch three bass totaling 9.23 pounds on the final day of the tournament which was enough to enable her to pull to the top and win the Angler of the Year in the LBAA?s first pro division (AOY) Angler of the Year title. Pam?s two-day total at Old Hickory was 17.63 pounds. Pam notified her friends on Facebook at the tournaments end with this statement, ?LBAA tournament on Old Hickory is over! I had 9.23 today and won the tournament and Angler of the Year! Gotta thank all my sponsors for their help and support! Most of all want to thank the Lord and my family! "Life is good, God is better"